Like Punjab, the drug menace has spread its tentacles in the neighbouring state. Punjab is infamous now for drug menace, but there are indications that neighbouring Haryana is not far behind when IT comes to drug-addiction and trade. As per the Narcotics Control Bureau’s (NCB) annual report for 2016, Haryana topped in seizure of heroin. Of the 1,675 kg heroin seized in the country, 657 kg was seized in Haryana in 441 separate cases which led to the arrest of 669 people. As compared to this, 342 kg heroin was seized in Punjab in 1562 cases. Though Haryana Police refutes the NCB figures and claims that actual drug seizures are much less than the figures mentioned in the NCB report, an operation launched against narcotics smuggling indicates the seriousness of the problem in the state. In the past three months, 225 people have been arrested and 134 cases have been registered since the launch of a special campaign against drug peddlers in just one district, Sirsa. ‘Prabal Prahaar’, a campaign to crack down on narcotics smuggling in Sirsa district, especially in the areas bordering Rajasthan and Punjab, was launched on 26 April. During it, a large quantity of narcotic substances, including 13.84 kg opium, nearly 3.51 kg heroin, 14.68 quintals poppy husk, 1,54,448 prohibited pharma pills, 265 bottles of prohibited medicines, 596 injections and 20.22 kg of marijuana were seized from the accused. Sirsa’s Superintendent of Police Hamid Akhtar said the police would soon convene a meeting with village heads in the district to urge them to participate in the campaign against drug peddlers. Police will also honour the panchayats of villages completely free from the menace of illegal drugs, he added. Fearing a Punjab-like drug menace in Haryana, Opposition parties have been calling for stringent measures to check the free availability of illegal sale of liquor, opium, bhukki, heroin, smack, and chitta (a synthetic drug). “Sale of drugs and illegal liquor through unauthorised small shops is rampant in Haryana. Smugglers are having a free run and they are playing with the lives and future of youngsters. If the situation is not controlled, it could get worse than the drug menace in Punjab,” Congress legislator Karan Singh Dadal said. The leader of Opposition and Indian National Lok Dal (INLD) leader, Abhay Singh Chautala, said smuggling of drugs and liquor is rampant. Chautala said in order to make payments for drugs, addicts are indulging in petty crimes like snatching and thefts. “Like Punjab, Haryana is getting bad name because of this,” he added. The cabinet minister Ram Vilas Sharma, however, said the state government is extremely serious on the matter of illicit sale as well as the illicit use of intoxicating substances. “It is incorrect to state that there is no check on this menace by the concerned authorities. A multi-pronged approach has been adopted on the issue by the authorities with a view to prevent, detect and punish the criminals indulging in such illegal activities,” he said. Keeping in view the increasing drug menace in the state, Haryana Director General of Police, BS Sandhu has ordered a crackdown on narcotics in the state. “Drug smugglers would not be spared at any cost. Even their property would be attached. Apart from this, registration of vehicles being used in smuggling of narcotics and other illegal activities would also be cancelled,” Sandhu said. 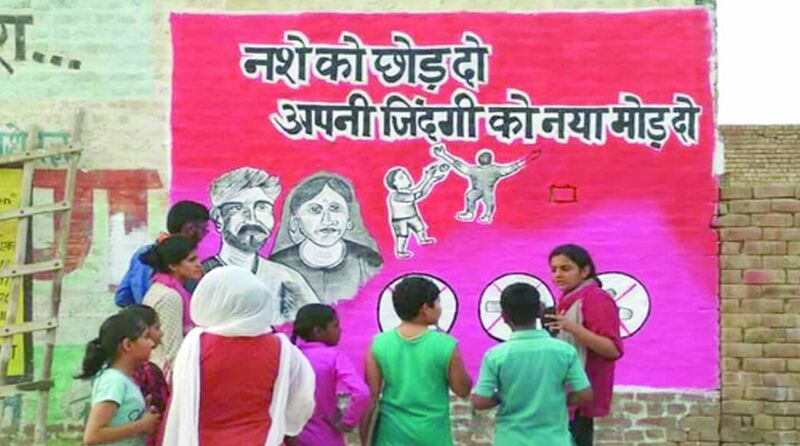 As the number of drug-addicts is soaring in Haryana, de-addiction centres in the state have seen an increase in the number of youngsters seeking treatment. Following this, the Department of Social Justice and Empowerment, Haryana, has decided to launch a special campaign to control the menace of drugs, especially in the districts bordering Punjab. It would be included in the flagship programmes of the department, the minister of state for social justice and empowerment, Krishan Kumar Bedi said. He said the campaign would include prevention of sale of drugs, treatment of the drug addicts, and making people aware about the adverse effects of drugs on their health. A Task Force has already been formed at the district level under the chairmanship of the deputy commissioner concerned. Bedi said 60 drug de-addiction and rehabilitation centres were operating in the state in collaboration with non-government organisations (NGOs). Besides, such centres are operating in district hospitals also, he said.